Produced on a very clayey terroir with stones from the Ouvèze river, the Grenache is dominant and develops a fleshy wine. It's typical aromas of chocolate, cherry and fig match beautifully with the Syrah (violet, spice, liquorice). 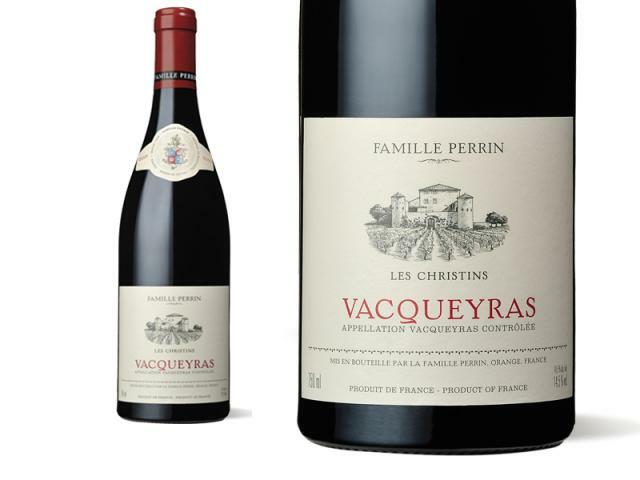 Famille Perrin’s Vacqueyras is a beautiful example of Grenache based wines from the Southern Rhône Valley, with an impressive aromatic expression, structured body and great ageing potential. An 8 hectare vineyard farmed and run by the Beaucastel team. Located on the Commune of Sarrians, south of the Dentelles de Montmirail. Old vines (average age of 50 years). Stony terraces on clay and sandy soils. Handpicked harvest in 25 kg boxes. Crushing, long fermentation (1 month) in tanks of 50 hectolitres and in Foudres (50%). Blending after malolactic fermentation. Dark ruby color, the nose is intense and savoury on notes of red fruit. Balanced and complex in the mouth, the tannins are silky on notes of blackberries, blackcurrants, licorice, and herbes of Provence. A fine and elegant Vacqueyras that reflects the harmony and wisdom of the old Grenache. The ideal match for this wine is a leg of venison with Gentian, sautéed potatoes with onions and garlic.